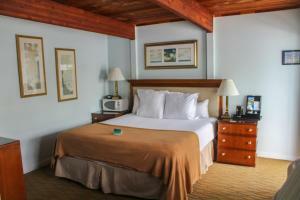 The 3-star Beachfront Inn offers comfort and convenience whether you're on business or holiday in Fort Pierce (FL). The hotel has everything you need for a comfortable stay. All the necessary facilities, including family room, restaurant, bar, nightclub, safety deposit boxes, are at hand. Whirlpool bathtub, air conditioning, heating, desk, balcony/terrace can be found in selected guestrooms. To enhance guests' stay, the hotel offers recreational facilities such as private beach, diving, fishing, horse riding, water sports (non-motorized). 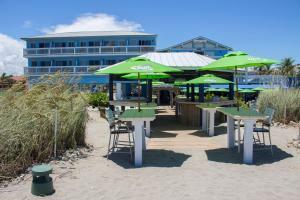 Friendly staff, great facilities and close proximity to all that Fort Pierce (FL) has to offer are three great reasons you should stay at Beachfront Inn. 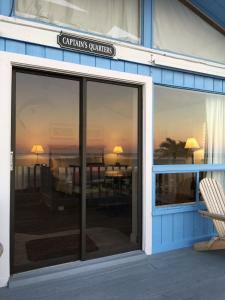 One of the community users reported us that the Beachfront Inn in Fort Pierce (FL) is a diver friendly hotel.